I received this wonderful package from Mexico today from Gustavo Morainslie of Segunda Llamada. 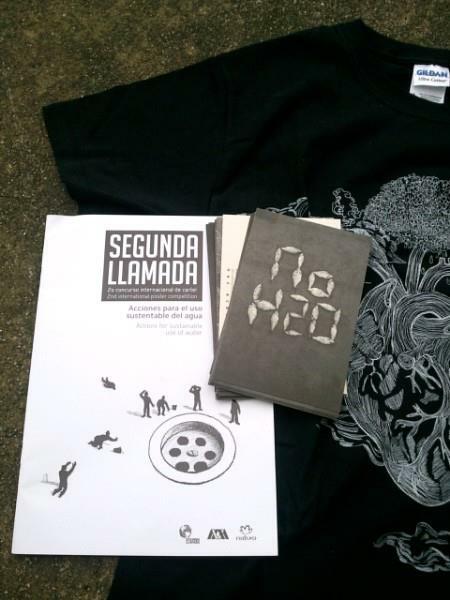 It includes a wonderful book, tshirt and ‘No H20’ postcards. Thankyou very much Gus.